He was also conscious that some well remembered people were not there anymore, people such as Don Carlos Molina and his wife Socorro (both very nice). The Molina family owned “La Tropical,” the grocery store where Armando had worked as a salesclerk when he was but sixteen. Also gone but remembered was Don Hilario, the carpenter. Armando remembered him because Hilario was a very funny and skillful old man. Many other folks Armando remembered with love. He hoped to see both his childhood and teenage friends, friends that he used to go with on mischievous sprees, even though he was never fond of alcohol, Even to this day, he had never acquired the taste. Before she answered yes or no, he turned around and went to the orchestra, and asked them to play something easy “because I don’t know how to dance.” The orchestra played “The Waltz over the Waves.” Armando and Graciela danced the night away, and that’s when Armando asked her. Days before he left Pearl, he presented her with a compact disc with “The Waltz over the Waves” recorded on it. Now, after forty years, Armando was in the center of the bus station, trying hard to hide emotions that might overcome him. As he went out in the street, he found himself enjoying the tremendous hot weather that he missed so much. Far from feeling uncomfortable, he took that heat with pleasure. “Need a taxi Sr.?” a voice came from an athletic young man who was wearing a pair of semi-dark eyeglasses, and whose sport clothes fit him perfectly. “Any address?” asked the taxi driver asked. 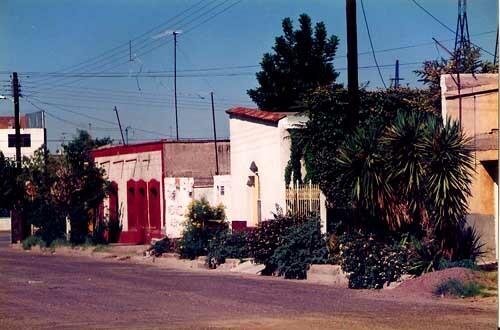 Along the way, Armando tried to recognize the streets he once walked forty years ago, streets that were now paved. Lots of new buildings, and new businesses, and lots of people— Armando could recognize almost nothing. “Everything has changed,” he thought. “Obviously, after forty years… even me.” His hair was now totally white, and he wore a well-trimmed gray-beard. “Would you please stop here, just for moment? I want to see that school.” Yes, it was the Francisco Sarabia Elementary School, the school where he had studied when he was a boy, the school that he had loved so much. It was the same school, but not the same building. In his memory was the old adobe building with very wide walls, wooden floors, and no air conditioning whatsoeverl. Many memories flooded Armando’s head in an almost cruel way, and he couldn’t hold back a few tears. At the hotel, Armando requested a room on the top floor, a room with a downtown view. The manager of the hotel called the bellboy to help with Armando’s baggage, and after tipping him, Armando decided to have a long look of the city through the window. In amazement, he studied the many changes in Pearl. Later, after a relaxing shower, he decided to take a walk on the street, the main street where the hotel was located, the street where he and Graciela used to walk holding hands on those warm evenings, and once again, a lot of memories filled his head. 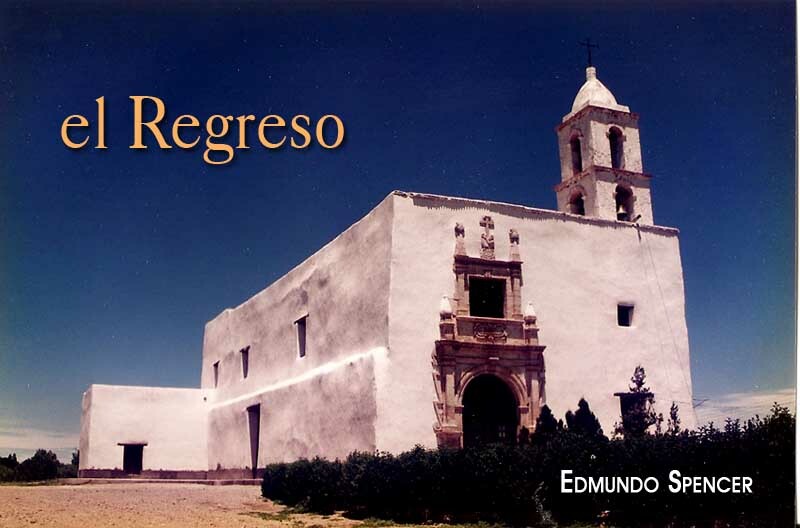 Armando strolled from east to west, stopping now and then to look at the new cement brick construction that had replaced old adobe buildings. In his mind, he could see the soft drink shop where he and Graciela used to go for a cold drink, or a snow cone. He could see also “Margarita’s Beauty Shop,” even though the shop was not there anymore. Margarita had died few years ago. In his memory, Armando could also see “Mireles’ Mechanic Shop.” Mireles was a very nice man and a great teller of jokes. Armando could also envision Sr. Rohana’s carlot, with only one car on display. Armando smiled at the memory.. He kept strolling till he reached the square where the church building was. It was a very old building, hundred of years old maybe, with the same façade, with only one tower, and with the same old bell. At the south side of the square, a two story modern building now replaced the old Municipal Presidency building. The old building had covered the entire block. Near the government offices had been the local police station, a municipal jail, a small school, and even a basketball court. As Armando kept walking, now in the opposite direction, on a street caled “La Paz,” a street, which ran parallel to the main street, he reached Centro Viajero Restaurant. He came inside and asked for Don Francisco Aguirre, the owner. The man to whom Armando talked told him that his father had bought the restaurant from Don Francisco before he had died, and since his father had later died as well, he was now the owner. Armando left, feeling kind of sad..
“How many more have died already,” he thought to himself. A few blocks further, on Fourth Street, he saw a sign hanging from the corner: Dr. Humberto Pando, General Medicine. “¡Aha, you are a doctor, uh-huh,” he said loudly. Immediately, as he came in the reception office, a beautiful and nice young girl welcomed him. “Can I help you, Sr.” she asked, attentively. “Medical advice?” The girl inquired. “I just came to collect the ten dollars you owe me.” Armando said looking at Humberto straight in his eyes. Humberto pulled his eyeglasses to the tip of his nose to look him better, and suddenly the memory of that dance came to his mind, and without saying a word, both of them stood up, and strongly hugged each other, not without shedding some tears. “I am living in San Francisco,” Armando told Humberto, “and I came to see my town for the last time, because of this.” He gave Humberto an envelope. Humberto’s expression slowly changed as he thoroughly read the document. “How much more time do you have left?” Humberto asked in a very somber tone. Without even turning his head, Armando replied: “This is a matter of life and death; you have to dance with me at least once. I promise not to tread on your toes.” The scream was heard all around the square. They tenderly hugged for long, long minutes, and shed many tears. The last evening they were in the square together, Armando walked her home, wished her a good night, never telling her that he was to leave the next day. That same night Armando called Humberto to say goodbye. Early in the morning, a taxi took him to the bus station but oh! A surprise, Graciela was there. “Besides… telling you…that I’m leaving…what else…did he tell you?” he asked nervously. She looked at him for a good moment, but said nothing, and tried, making a big effort, not to cry. The moment was tense; they looked at each other with intensity, no words at all; but for some reason, Armando realized the she knew about his cancer. He made no comments, and kept himself quiet. Graciela broke the silence; “I a present for you, but don’t open it till you get home, OK? Graciela spoke in very quiet voice. At that moment they heard, over the speaker, that the bus was ready to depart. Graciela tried to give him a farewell hug, but he stopped her with a gesture, turned around and walked a few steps. He then came back and they tenderly hugged each other, fully aware that they will never see one another for the rest of their lives. At home, Armando opened the present. It was the “Waltz over the Waves” compact disc he had given her, forty year ago, and a short note: “Thanks for giving me back my life, even if it was just for a few days. Armando died not too long after, overcome by cancer.